Haven’t done a Booking Through Thursday in ages. I’m catching up to this one a week late (oops!) but I really liked the question. What’s the most intriguing book you ever read? Something that made you think, explore new ideas, or just be really impressed and awed and amazed at the sheer wonder of the creativity of the thing? Running my finger along my bookshelf and mulling this one over. I know I have read fiction that has engulfed my worldview with its own, swept me away, or left me thinking for days after the fact. I’m not calling to mind specific titles, here, though, more the overall experience of being immersed in reading. When it comes to specific books that have made me think, or influenced the way I think and the questions I ask, what comes to mind is nonfiction and poetry. It becomes extremely hard to pick just one, as the question stipulates. So I went for a few, in no particular order. Bobos in Paradise: the New Upper Class and How They Got There by David Brooks. This is basically pop social anthropology, written in the early 2000’s, about the phenomenon of turning rustic camping, or exotic goods from other “more primitive” cultures into upper class status symbols. Or buying things with hefty price tags to convey a spirit of adventure, or artsy, creative slumming it. I read it fresh from majoring in anthropology in college, where I absolutely couldn’t get enough of being curious about applying field work and anthropology ideas and questions to looking at my own society and what it took for granted. Hyper-local anthropology and seeing how world cultures and foreignness were perceived. Not the most intellectually rigorous analysis, sure. But it stuck with me, and I still think about it: world music’s borrowed beats, expensive trekking gear worn on walks in public parks. Coffee culture, and the social cachet and price tag put on conveying worldly but bohemian images. 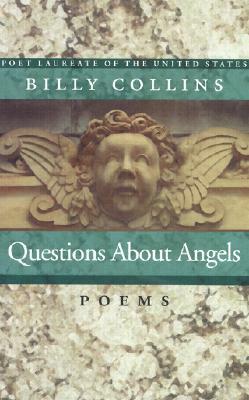 Questions About Angels by Billy Collins. I think it was my friend Alex who put this into my hands in college. I hadn’t read Billy Collins before. And his poems, with their encapsulating details, their scenes that blend ordinariness with haunting strangeness… Poems about last cigarettes, odd barking dogs, superheroes, taking off Emily Dickinson’s clothes, Paris. structures I can’t dissect even though I try over and over…Collins has been one of my idols ever since. The Readers’ Advisory Guide to Genre Fiction by Joyce Saricks. This one is supremely librarian-nerdy for me to include. It was a textbook in the YA class I took one summer. And wow, I wished I had read it years ago! When I started reviewing books or book blogging. Saricks organizes the conversation about books around “appeal factors,” characteristics like mood, characters, setting, and plot, that transcend series or genre. The way she explains how the appeal factors work revolutionized how I listen to what people are telling me about what they like or don’t like about a book or movie, and, I like to think it helped me be better at recommending media that will actually hit its mark well and be a good fit. Advisory is a skill I’m still learning. But appeal factors make it make such wonderful sense. Callahan’s Secret by Spider Robinson. Okay, I said I wasn’t going to include any fiction in this list, it was going to be poetry and nonfiction. I changed my mind. Like Questions About Angels, this pick is more about the influence of the author overall, than about singling out one book over any of the others. The Callahan books played a key role in constructing the moral compass I aspire to live by: doing my best to rearrange the furniture in my own mind, listening to stories and sharing stories enough to be able to commune with other minds. And yes, it’s also series about a bar on Long Island, full of puns, aliens, the occasional apocalypse and a talking dog. Because, of course it is. The Design of Everyday Things by Donald Norman. I read the 2009 edition of this last year for my Usability class. Which was, in itself a game changer and a great rearranger of my outlook. But this book, just, wow. It offers wonderfully clear, sensible explanations of how design can be used to lead people to understand how to work with an object, through visual cues, tactile cues, ways of playing on what people already know or expect. A perfectly designed program or gadget would allow someone to pick it up and operate it smoothly without instructions. With good design, there’s absolutely no reason to be frustrated, to feel stupid or clumsy or like it’s your fault you don’t know how the thing works. When I read it for class, I left a flurry of dog-ears and post-it flags, even underlined wise and saliently explained ideas on what felt like every page. Years and years of feeling awkward and clumsy and confused by gadgets started to smooth over. I’ve been wanting to hand this book to just about any one I talk to who gets angry at a gadget, or blames themselves for being “bad with technology.” I should buy this book in bulk and get a commission. I should also read the updated version. ← The Kindle has died, long live the Kindle!